So Rahm Emanuel resigned his post as chief of staff to the most powerful position on the planet (after, that is, the top 5 places within the Chinese government structure) to run for the mayoralty of Chicago. This is a guy who served for three terms in the House of Representatives. He’s now running to be mayor of Chicago. A power broker inside the D.C. Beltway packs it in for what looks to be a rough ride of an election in the 3rd biggest city in America. Does that strike anyone else as a step down a rung or two of the success ladder? I mean, aren’t mayor positions simply consolation prizes for those without the goods to make it big at state/province or federal levels of government? It certainly seems to be the case here in Toronto during this particular campaign cycle. Also-rans and not-quite-good-enoughs battle it out for ultimate supremacy of this backwater burg we call home. Yet, here’s arguably the meanest, nastiest and most successful backroom Democrat in recent memory heading out of Washington to try his luck running for the lowly position of mayor. Obviously it’s some sort of punishment being meted out for the crime of pushing President Obama too far to the middle. Yeah, thanks for all your help, Rahm. How be you just run along now and try your hand at local politics? Or, maybe this is a case of an extremely motivated politician realizing just which way the wind is blowing, where the action really is. Cities are where it’s at, baby. In this globalized world of increasing urbanization that we’re living in, cities are assuming control of the agenda, the engine driving innovation, sustainability, diversification. What politician with an elevated sense of self-importance (one can posses that trait in a good way) wouldn’t want to be at the forefront of all that? 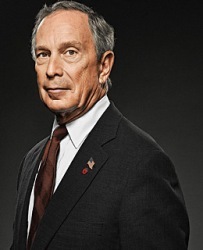 Gazillionaire Michael Bloomberg, touted as a possible independent candidate to run for the presidency of the United States, takes a pass, opting instead to stay as mayor of New York City. 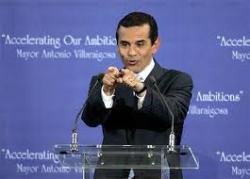 In Los Angeles, Antonio Villaraigosa dabbled for a time in California state politics before moving into the municipal arena, first as a council member and then mayor. Portland Oregon mayor Sam Adams has burst onto the national scene as a leading advocate for building environmentally sound cities. 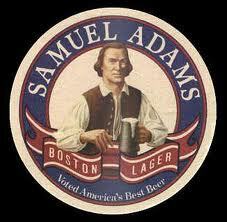 So famous has he become that a beer has been named in his honour. But over the course of Toronto’s dreary 9 month campaign so far, we’ve been told it’s just about filling potholes and fixing street lights. After 7 years of tentatively stepping toward the future, all we’re hearing now is what we can’t do, not what’s possible. Voters are cowering in the face of necessary and exciting change; their fears and worst instincts catered to by unimaginative candidates who seem oblivious to the shifting sands of where power is headed. We imperil our ability to adapt to what’s coming and thrive in the possibilities that will arise if we hand over the levers of power to someone incapable of seeing past nickels and dimes. Rahm Emanuel seems to understand this. He’s angling to take the reins of a great but deeply troubled city. Much more troubled than even the worst case scenario being painted about Toronto by the hysterics contending for the mayor’s position. 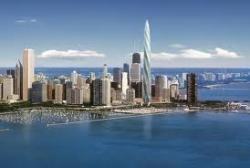 Chicago’s money woes are significantly worse than ours. Allegations of actual corruption and cronyism have stuck to some of the outgoing city officials. Crime is a significant problem there and not just a convenient bogeyman being shaken around in order to frighten voters. Despite all of that, Rahm Emanuel wants to be the mayor of Chicago. There’s an element of flight, certainly, from an administration looking to take a hit in next month’s midterm elections. 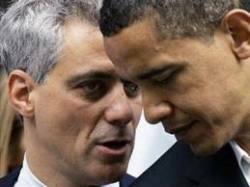 If it does happen, there’ll be plenty of fingers pointing at Emanuel as a prime architect of Obama’s fall from grace. But he could run toward a much more lucrative spot in the private sector, assuming such a thing exists anymore which also might explain the President’s low approval ratings. Emanuel’s decision to follow in the footsteps of Richard M. Daley bespeaks of how important cities have become on the political landscape. Those accepting that new reality have begun to assume responsibility for proper future planning, at times defying upper levels of governments by setting more stringent environmental targets and broadening personal rights and freedoms. In the vacuum created by the divestment of powers by successive federal and provincial/state governments as a way to balance their books, forward thinking cities have assumed the responsibilities and set out on a course to not only remake themselves in a 21st-century fashion but the regions and countries that they are part of as well. Savvy politicians like Rahm Emanuel recognize that and are jumping at the chance to get involved. It’s unfortunate Toronto has been hijacked by mayoral candidates more content to wallow in petty grievances and almost tribal hostility instead of generating ideas about how best to move into a future where cities will be at the forefront of policy decisions and societal change. If the next mayor doesn’t understand that and seize upon it, all the advantages we as a city have presently (and we have many) will be for naught. Our enviable position cannot be translated into expanded opportunity by merely filling potholes and fixing streetlights. We need to stop shying away from thinking bigger. You are currently browsing the All Fired Up In The Big Smoke blog archives for the day Tuesday, October 5th, 2010.